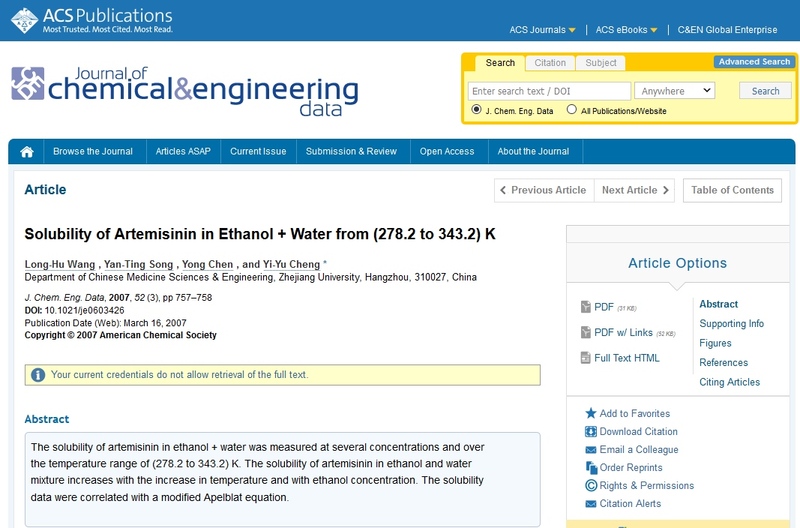 The solubility of artemisinin in ethanol + water was measured at several concentrations and over the temperature range of (278.2 to 343.2) K. The solubility of artemisinin in ethanol and water mixture increases with the increase in temperature and with ethanol concentration. The solubility data were correlated with a modified Apelblat equation. Obtaining artemisinin and its derivatives is very costly, which limits access to low-income people. Some hydroalcoholic extract of Artemisia annua L., Asteraceae, which has shown comparable antimalarial activity could be an alternative to the purified compound, especially if the cultivars have higher content of artemisinin. 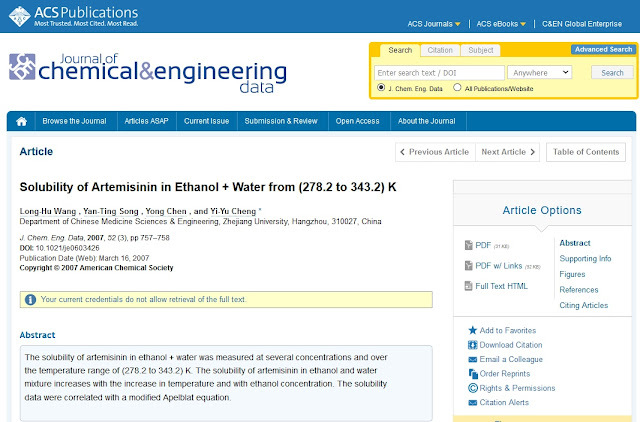 The objective of this study was to evaluate the effects of the extraction parameters (ethanol graduation, previous shaking time in an ultrasound bath and drug/solvent ratio) on the yield of artemisinin in the liquid extract obtained by percolation from A. annua and then optimize the extraction efficiency of this compound. The Box–Behnken (33) factorial design was used in association with response surface methodology. The derivatization reaction of artemisinin was used in an analytical method which was submitted to validation, after reaching the specification of the selectivity, linearity, precision, accuracy and robustness. Detection and quantification limits were 1.3 and 4.0 μg/ml, respectively. The largest amount of this compound of interest was obtained without any ultrasound bath, with an ethanol graduation of 95% and a drug/solvent ratio of 2%. Drug/solvent ratio was the factor which most influenced extraction efficiency. The maximum range of artemisinin yield was 1.21%. 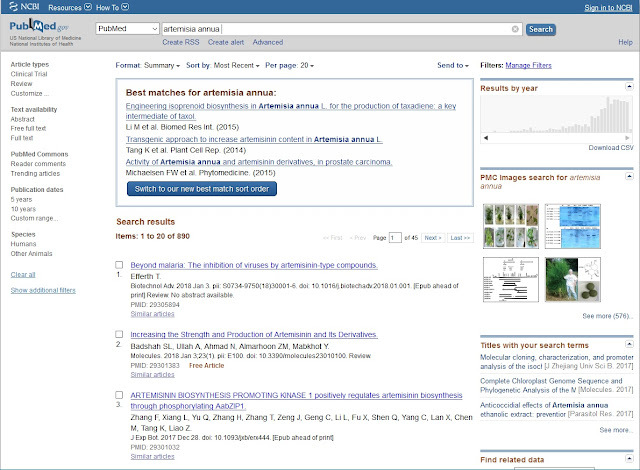 Information obtained in this study can be used for future approaches to determining and extracting artemisinin from A. annua. 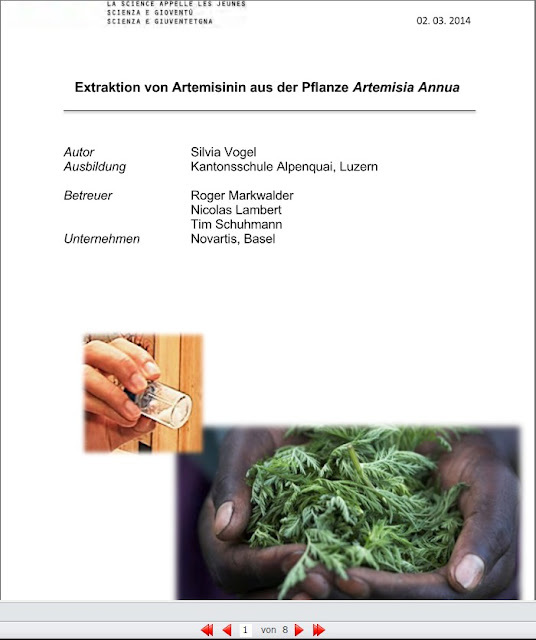 A review paper published by Frank van der Kooy in 2013 (Journal of Ethnopharmacology, 150, 1-13) revived our interest in the question why the solubility of artemisinin is higher in Artemisia annua infusions than for the pure substance in distilled water. 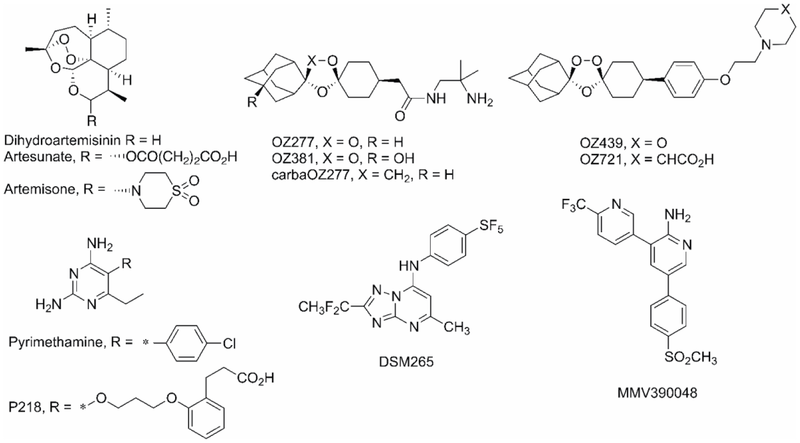 We have tested five distinct classes of established and experimental antimalarial drugs for their anticancer potential, using a panel of 91 human cancer lines. Three classes of drugs: artemisinins, synthetic peroxides and DHFR (dihydrofolate reductase) inhibitors effected potent inhibition of proliferation with IC50s in the nM- low µM range, whereas a DHODH (dihydroorotate dehydrogenase) and a putative kinase inhibitor displayed no activity. 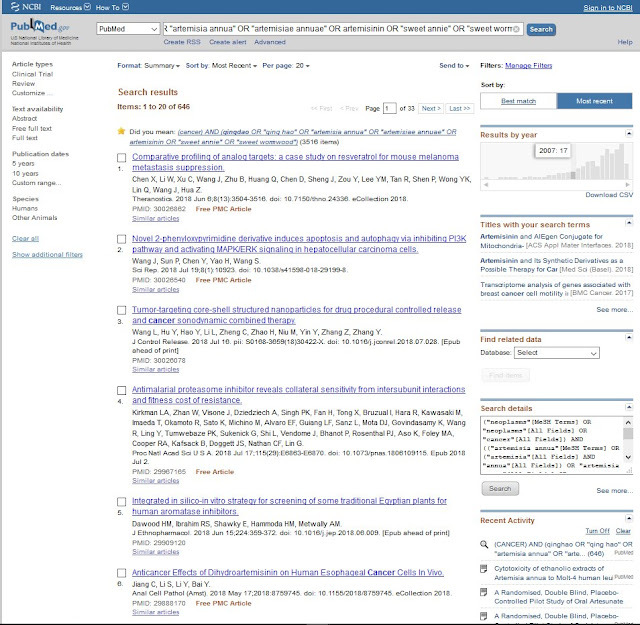 Furthermore, significant synergies were identified with erlotinib, imatinib, cisplatin, dasatinib and vincristine. 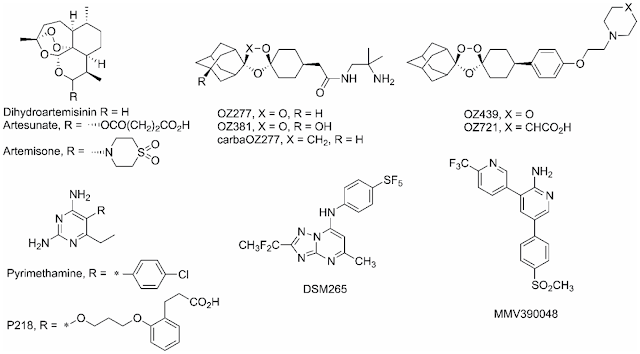 Cluster analysis of the antimalarials based on their differential inhibition of the various cancer lines clearly segregated the synthetic peroxides OZ277 and OZ439 from the artemisinin cluster that included artesunate, dihydroartemisinin and artemisone, and from the DHFR inhibitors pyrimethamine and P218 (a parasite DHFR inhibitor), emphasizing their shared mode of action. In order to further understand the basis of the selectivity of these compounds against different cancers, microarray-based gene expression data for 85 of the used cell lines were generated. For each compound, distinct sets of genes were identified whose expression significantly correlated with compound sensitivity. Several of the antimalarials tested in this study have well-established and excellent safety profiles with a plasma exposure, when conservatively used in malaria, that is well above the IC50s that we identified in this study. Given their unique mode of action and potential for unique synergies with established anticancer drugs, our results provide a strong basis to further explore the potential application of these compounds in cancer in pre-clinical or and clinical settings.